Commonly applied electrochemical methods for the analysis and diagnosis of the processes in and state of electrochemical cells, such as Electrochemical Impedance Spectroscopy and Current Interrupt analysis, are either limited to linear analysis or the signal is quite unspecific which hampers to extract significant and precise nonlinear information. 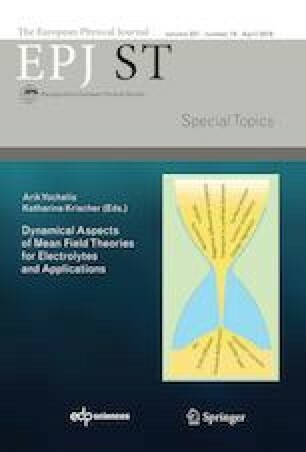 We present a systematic insight into how significant information can be extracted from a promising alternative nonlinear dynamic electrochemical analysis technique, Nonlinear Frequency Response Analysis. Further, we present a fundamental and in-depth study of impact of processes at electrodes on nonlinear behavior. Model based analysis of a reaction process with Butler-Volmer kinetics and of a diffusion process are thereby used to understand and interpret the excitation of higher harmonics. A reaction with a symmetric current potential relation thereby causes an excitation of the third harmonic, whereas for the diffusion process the second and third harmonic are excited. Nonlinearities caused by diffusion are limited to low frequencies. Further, parameter variations of exchange current density, double layer capacitance and diffusion coefficient as well as variation of the input signal show that the symmetry of the nonlinear behavior between current and potential is responsible for the excitation of the second and third harmonic. The tangent method is presented as a suitable method to quantitatively evaluate and compare influences of each process and parameter on spectrum features and the related characteristic frequency range. The work thus serves as a guideline for using and interpreting nonlinear frequency response spectra.